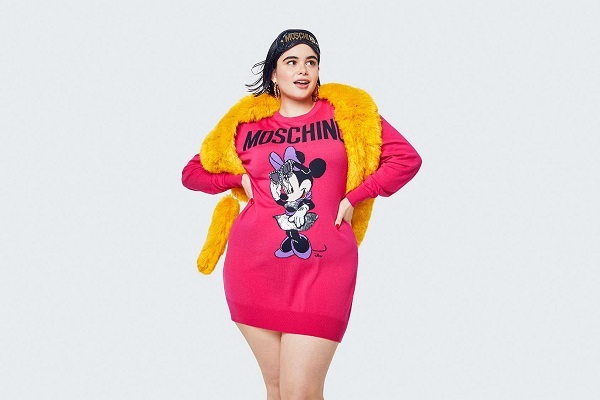 H&M x Moschino dropped its highly anticipated collection on Thursday to the delight of fans, though the assemblage fell short for some customers due to its limited sizing. According to the HuffPost, the apparels for women only come in the limited sizes XS to M. The men’s selection, however, carries sizes XS to L.
H&M told the publication that some of the items run up to large for both men and women. It added that several items have already sold out online and in its physical stores, therefore shoppers might not have been able to view the full range of sizes for a particular garment. While H&M is no stranger to gripes on its lack of inclusive sizing, this particular omission has been particularly unsatisfying due to how the highly coveted collaboration has been marketed. Leading up to its launch, its ads displayed various models including drag queen Aquaria and plus-size model Barbie Ferreira. The promotional materials suggested that plus-size women would be able to purchase clothing from this collection. H&M commented, however, that its garments do not run into this spectrum of sizing options. The fast fashion brand explained that the collaboration does not offer plus sizes for ladies or men, and that the company will evaluate its future collaborations to improve product offerings for its customers.